This article is Part 6 of a 9-part series on the International Conference on Frontotemporal Dementias. To read the full conference coverage, click here. When it comes to clinical trials, frontotemporal dementia has long gotten the shaft. The only currently approved FTD drugs were first tested in other disorders, and they aim to soothe symptoms rather than attack the cause of the disease. Most FTD trials, for example one of memantine, in fact were negative (see Boxer et al., 2013). A new Phase 2 study now offers hope that this could change. At the 9th International Conference on Frontotemporal Dementias, held October 23 to 25 in Vancouver, Canada, researchers from FORUM Pharmaceuticals in Watertown, Massachusetts, announced a step forward in testing FRM-0334, a small-molecule inhibitor of histone deacetylase (HDAC). Researchers hope the compound will boost the expression of progranulin, a neurotrophic factor that takes a hit in those FTD patients who harbor pathogenic mutations in the granulin gene. The next FRM-0334 trial will only target the roughly 20 percent of familial FTD patients who harbor mutations in the gene for progranulin. Even so, researchers expressed excitement that a bona fide FTD trial was moving forward. “Clinical trials are where the rubber meets the road,” said conference host Howard Feldman of the University of British Columbia in Vancouver. Researchers have come to agree that gene-based drug discovery makes sense given that the FTLD group of diseases has proven to be both genetically and clinically heterogeneous. “We need to use the tools that are in front of us, and hopefully any knowledge we gain with the genetic forms of the disease will inform the sporadic disease as well,” said Susan Dickinson, executive director of the Association for Frontotemporal Degeneration (AFTD). FORUM’s Holger Patzke presented preclinical findings and laid out plans for the upcoming trial. “We are really excited to put a stake in the ground,” he told Alzforum. Researchers discovered in 2006 that mutations in the granulin gene caused FTD, shortly before finding that TAR DNA binding protein-43 (TDP-43) dominated the inclusions found in the same patients. Since then, 70 FTD-linked progranulin mutations have been identified. All are predicted to reduce progranulin production, and mutation carriers have lower serum levels of the progranulin protein (see Jun 2009 conference story). Full-length progranulin is shed from cells and processed into several smaller granulins, which have been reported to promote neural growth and regulate inflammatory responses (see Oct 2012 news story). Researchers don’t know how progranulin deficiency hastens FTD, but the fact that its reduction causes the disease makes progranulin a particularly tantalizing target for therapy, Patzke said. Researchers have proposed different strategies to boost progranulin levels, including blocking sortilin, a progranulin receptor that removes the protein from circulation (see Aug 2012 news story). Some progress on that front in animal studies was presented at ICFTD, but FORUM’s approach is by far the furthest along. FORUM scientists decided to look for HDAC inhibitors that would boost transcription of the non-mutated copy of the gene. HDACs work by deacetylating chromatin, which keeps genes closed off from transcription. Previously, researchers led by Joachim Herz at the University of Texas Southwestern Medical Center in Dallas had identified suberoylanilide hydroxamic acid (SAHA), an HDAC inhibitor approved by the FDA to treat T-cell lymphoma, as boosting progranulin expression (see Cenik et al., 2011). FORUM had been working for more than a decade to develop HDAC inhibitors that would penetrate the central nervous system. They eventually selected FRM-0334, a compound that induces histone acetylation in the rodent brain at 1/10 the dose of SAHA. At ICFTD, Patzke reported that the compound boosted progranulin mRNA and protein levels in rodent neurons and microglia. In lymphoblasts derived from FTD patients with progranulin mutations, it raised progranulin protein to near normal levels. 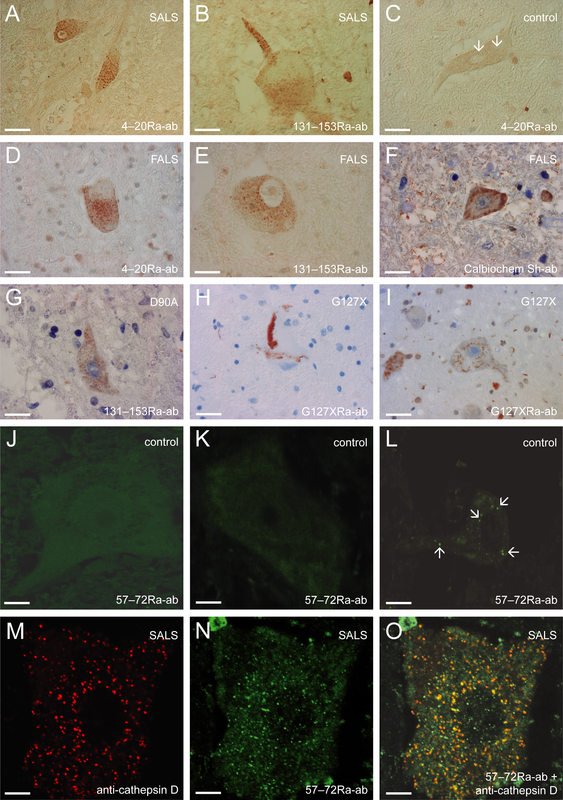 A single oral dose of the compound efficiently crossed the mouse blood-brain barrier and boosted progranulin levels in the cortex. Patzke summarized results from FORUM’s recently completed Phase 1 trial to test safety and tolerability of the compound in healthy people. Seventy volunteers received daily oral doses of FRM-0334, escalating to 400 mg over two weeks. The researchers observed no severe adverse events. The trial did not reach what is called the maximum tolerated dose, the highest amount of drug that does not cause unacceptable side effects, and the scientists concluded the treatment was well-tolerated. To move on to Phase 2, the researchers needed to make sure that they would be able to accurately measure levels of progranulin in the CSF and blood plasma of patients. If levels fluctuated much between participants, or worse, within a given participant at repeat measures, then interpretation of the drug’s potential effects could become difficult. The goal of the trial is to restore normal progranulin expression in mutation carriers, which gives researchers no more than a twofold window of wiggle room. As presented by FORUM’s Gordon Loewen on a poster at the conference, the researchers evaluated performance of an ELISA kit and tracked CSF progranulin levels in healthy volunteers as well as in people with Alzheimer’s disease or mild cognitive impairment. Over two different sampling periods spaced two weeks apart, progranulin levels varied by only 8.6 percent within subjects. In collaboration with John van Swieten’s lab at Erasmus Medical Center in Rotterdam, Netherlands, plasma progranulin levels turned out to remain remarkably steady in carriers of granulin mutations as well as non-carrier controls. “It is actually stunning how stable progranulin levels are,” Patzke said during his talk. The Phase 2 clinical trial, which will be double-blind, randomized, and placebo-controlled, is set to begin in 2014, Patzke said. Thirty granulin mutation carriers in the symptomatic or prodromal stages of FTD will be enrolled at 14 sites in the United States and Europe. The participants will receive one daily dose of FRM-0334, or placebo, by mouth for 28 days. In addition to safety and tolerability, the researchers will measure plasma and CSF levels of FRM-0334 as well as of progranulin (see clinicaltrials.gov) to measure drug exposure and target engagement. Patzke said he expects the trial to be complete by mid–2016. In a separate effort, scientists at UCSF are currently evaluating nimodipine in eight granulin mutation carriers for its ability to increase levels of progranulin. Nimodipine is an FDA-approved calcium channel blocker that is being prescribed in acute care to prevent stroke in people who have suffered a subarachnoid hemorrhage. While attacking FTD at its source is the ultimate goal, symptomatic treatments that assuage FTD’s behavioral symptoms are also needed. Caregivers can get overwhelmed dealing with loved ones who become cold or apathetic. On that score, Elizabeth Finger of the University of Western Ontario, Canada, ended the conference on a glimmer of hope. She treated a small number of behavioral variant FTD patients with escalating doses of intranasal oxytocin, a hormone known to promote nurturing (see clinicaltrials.gov). An abstract of Finger’s talk is published as part of the conference proceedings. Finger’s study has been placed under embargo by a journal until January, and Alzforum will report details at that time.